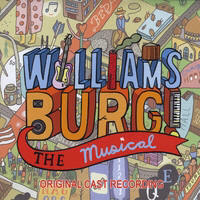 the ORIGINAL CAST RECORDING of WILLIAMSBURG! THE MUSICAL. 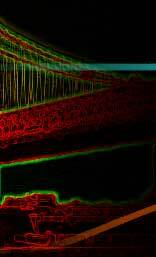 The recording was produced and recorded by Kurt Gellersted and Brooke Fox and mixed by Brooke Fox at By The Bridge Recording in Williamsburg. Gellersted and Fox, who also served as musical directors for the original production, brought the entire cast into their home studio along with fellow band members Justin Hosek on Bass and Andrew Potenza on Drums. 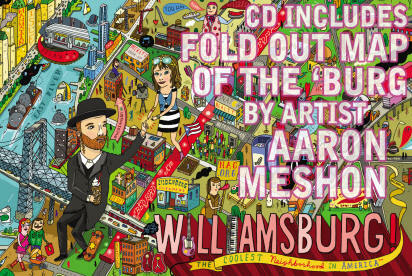 "Williamsburg: The Coolest Neighborhood in America" illustrated by Aaron Meshon!!! Photography was provided by Jonathan Grey and George Rand. The album was mastered by Dan Shike at Tone & Volume Mastering in Nashville, TN. CD RELEASE PARTY - COMING SUMMER 2009!! CLICK HERE TO LISTEN TO "One Stop to Excitement!" Thank you so much to eveyone who came to our fundraiser! Wasn't it a blast? comedian Lucas Held, and ukulele player Sweet Soubrette! Be our pal on MYSPACE!